What's Your State's Most Popular Classic Car? Using the most recent classified ad searches, ClassicCars.com published a listing of what classic cars were most searched for by state. Unfortunately, the results don't tell us what classics were most often purchased or sold by state, but the information does give us reason to conclude recent auction data dovetails fairly well with the search results. For the 2016 calendar year, the 1965 Ford Mustang was the most searched-for car. It also led in state-by-state statistics as the most searched-for collector vehicle in 13 of the 50 states. The 1961-1967 Chevrolet Impala was next among state leaders, topping the searches by residents of seven states, followed by the Chevrolet Camaro (five), and the Chevrolet Corvette, Dodge Charger and Ford Thunderbird (three each). Domestics dominated the searches every day. Only in Connecticut (why are we not surprised...?) was an import — the Mercedes-Benz brand — the most-searched vehicle. So-called muscle cars dominated in searches, although pickup trucks were most popular in West Virginia (the Chevrolet 3100) and Oklahoma (the Ford F1). Overall, Ford’s Mustang generated the most unique searches during 2016. Leading all non-American vehicles was the Volkswagen bus/van. The most sought-after Asian car was the Datsun 280Z. 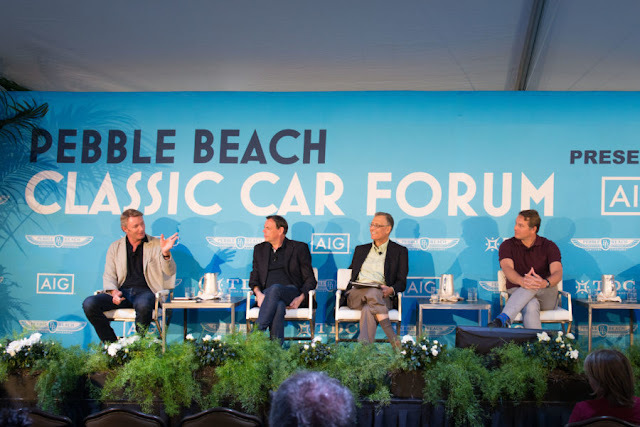 “Owning pristine collector vehicles – particularly domestic muscle cars – continues to be a passion for many Americans, from the most seasoned collectors to enthusiasts making their first purchase,” said Roger Falcione, ClassicCars.com’s president and chief executive. For your convenience, whether you are looking to buy or sell a classic car, we have sorted the information by State, Year, Make and Model. And, as we reported to you earlier this year, the results of the 2017 Barrett-Jackson Scottsdale Auction do resemble the search results, but the influence of -1965-1968 model year searches didn't match the strong preference for 1970 model year vehicles during the last B-J Auction. So, what does this all mean??? We're not sure it means anything significant in terms of the market value of classic cars. It could indicate that if you live in North Carolina, the strong interest among buyers seeking a 1965 Ford Mustang, means you might expect to pay a premium to meet the market's supply. Likewise, if you are in Maine and have a 1965 Buick Skylark to sell, you stand a pretty good chance of finding a buyer. But for most of us, this is just fun stuff to know and wish we owned a 1965 Ford Mustang too!